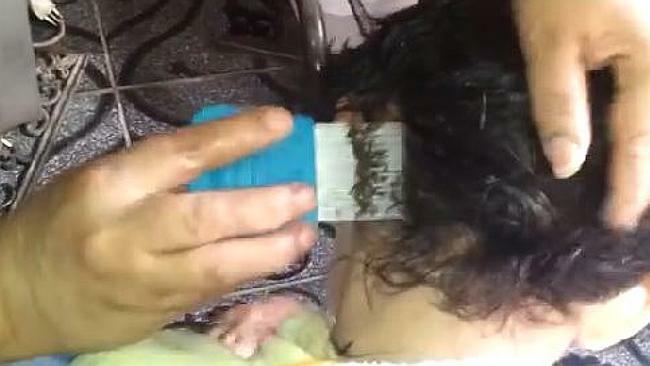 Stomach-churning video shows hundreds of head lice crawling inside a little girl’s hair. And is beyond parents’ worst nightmares. In the Youtube video uploaded sometime in 2013, a woman is seen struggling to drag a fine-toothed comb through the child’s thick hair. After several minutes, the lice build up and the camera zooms in to show a cluster of moving greyish-green parasites. That’s really disgusting! It became viral this week with more than 4 million views as of writing. Watch the head lice infestation video here. According to NHS, head lice are a common problem for school children, particularly between 4 to 11 of age. Around a third of pupils get head lice at some point every year, causing itching and a rash in some cases. They are spread by head-to-head contact and immediately climb between strands of children’s hair, sometimes infesting parents, friends and teachers.